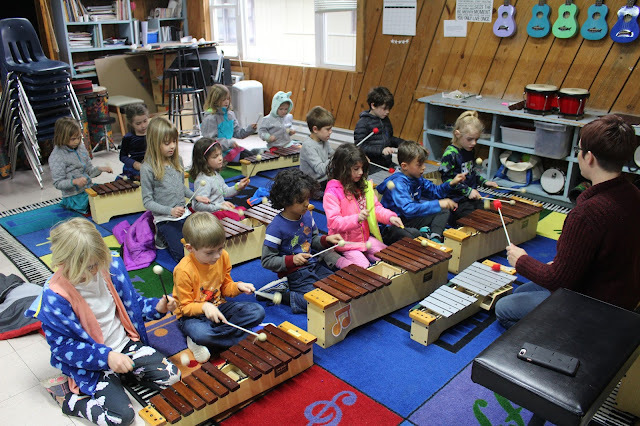 River and Sky classes have been playing xylophones in music class, which are currently set up with a 6-note scale (CDEFGA). We're learning a number of patterns in major and minor keys that fit with simple songs such as "I've Got a Dog" and the "Round and Round Round." 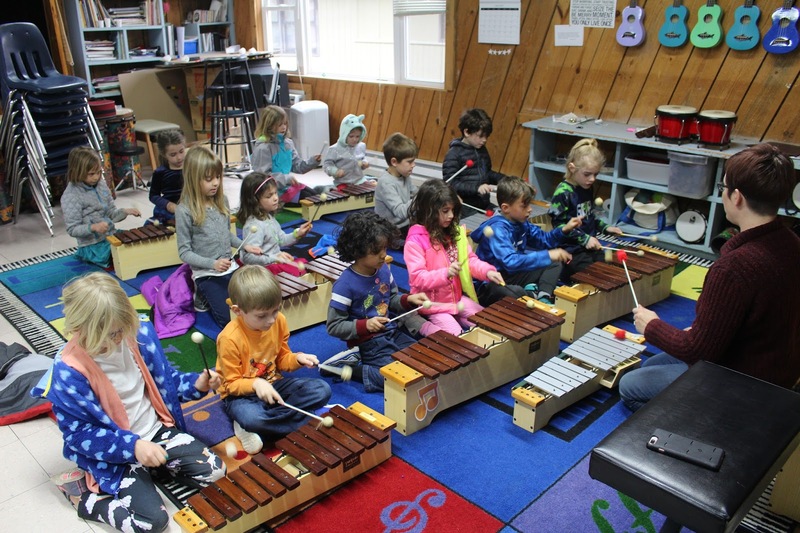 First-years have focused on mallet technique and coordination, while second-years have learned to play the "Bird Round" melody on their xylophones and have started improvising in both C major and D minor. We recently voted on our class Springfest song, and results will be announced before Spring Break!